I wish I could take your course on making encaustic paint. The cost of paint online is outrageous. Alas, I’m all the way in Virginia. Would you recommend any resources to help me learn the process and materials? I already make medium. Hi Anne, It’s true that the paint is expensive, but nearly as costly if you make your own paint or extend the professional paints (Like R&F or Enkaustikos) with medium. It’s great that you already make your won medium because that will be a big money saver! My first book, Embracing Encaustic: Learning to Paint with Beeswax will be you started and is on sale right now as a ebook for just $5! Another option would be my online classes. I created them for people like you who can’t get to my classes on the west coast. I would suggest Encaustic Painting & Texture to start: http://www.robertsonworkshops.com/. 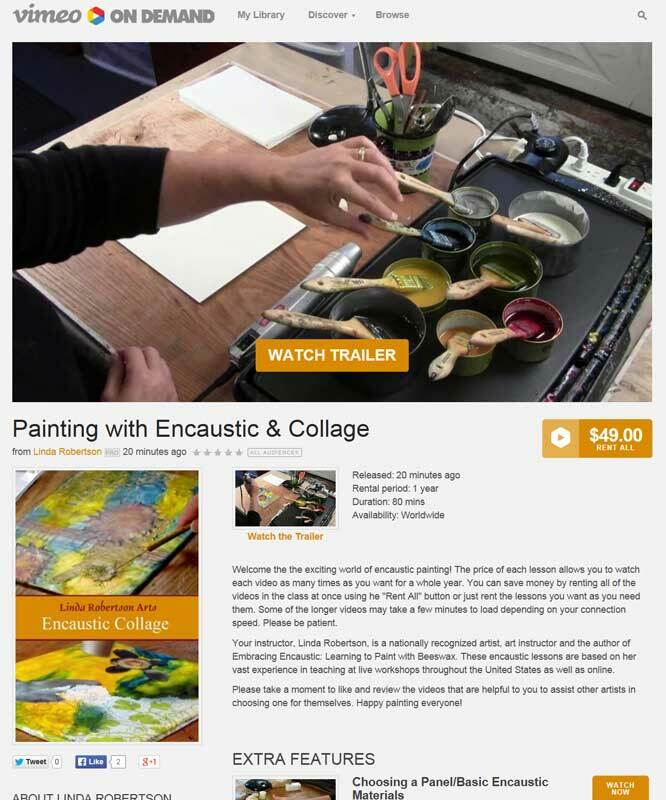 That class even has a free video on encaustic materials that may answer some of your questions.